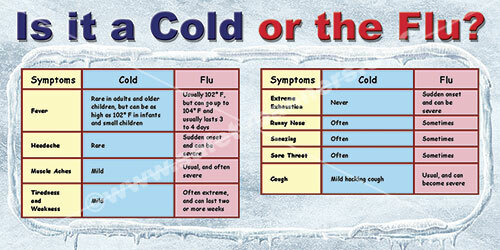 Stay safe during the winter and the holiday season. 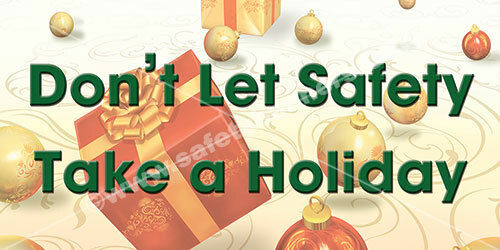 The holidays are a reminder to stay safe for family and friends. There are many obstacles which can stand in the way of safety during the holidays. Winter driving hazards can cause accidents during work and outside of work. 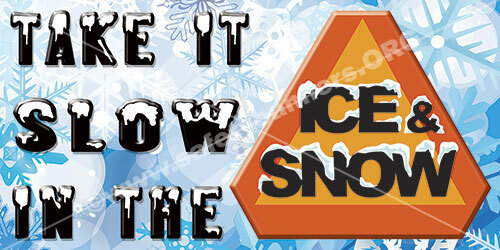 Staying safe in the ice and snow is a high priority during winter. Keeping up with safety procedures in and out of work will keep employees safe during the holiday season and during the winter months. 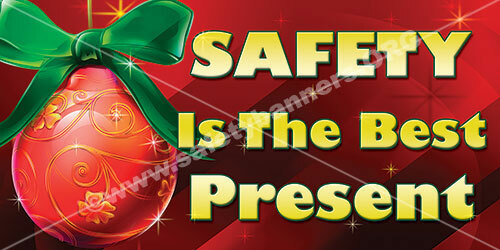 Use safety banners to keep winter and holiday safety in front of your workers. Constant diligence is required of facility managers whose responsibilities include ensuring that facility safety signage is frequently assessed, kept current and replaced when necessary. SafetyBanners.Org safety signs are built for long lasting interior and exterior durability and safety on a wide variety of surfaces. Witner and holiday safety signs help you avoid accidents and injuries. SafetyBanners.Org offers a wide variety of designs that will keep you OSHA compliant and protect your employees from dangerous accidents. If you cannot find a design which fits your needs, give us a call or send us an email with your specifications and we will put something together to fit your needs. When you expect the best, SafetyBanners.org delivers. Our safety banners are designed by professionals with the express purpose of making the maximum industrial safety impact in your facility. When you expect the best, we deliver.